Professor Tipu Aziz from Oxford University who trained me and pioneered deep brain stimulation (DBS) and lesions for movement disorders and pain in the UK in the 1990s. His groundbreaking scientific research led to the establishment of subthalamic nucleus DBS for Parkinson’s disease and discovery of pedunculopontine nucleus DBS for freezing and falling in Parkinson’s disease. He has one of the largest surgery for movement disorders and certainly the largest DBS for pain experience in the world. He is a Fellow of the Academy of Medical Sciences and Fellow of the Faculty of Pain Medicine of the Royal College of Anaesthetists. This year he will be the first neurosurgeon still in active clinical practice to be awarded the prestigious Medal of the Society of British Neurological Surgeons, a testament to his brilliance. He continues to be very research active, currently running promising trials in DBS for anorexia nervosa and post-stroke pain. Professor Dipankar Nandi from Imperial College London, also trained by Professor Aziz and who did the pioneering pedunculopontine nucleus DBS research under his supervision and heads the Imperial College functional neurosurgery service. Dr Moein Tavakkoli, consultant anaesthetist and pain doctor at University College Hospitals and St George’s Hospital. Dr. Dominic Paviour, consultant neurologist at St George’s University Hospital, clinical lead of our advanced movement disorders treatment team there. me, consultant neurosurgeon and director of functional neurosurgery at St George’s University Hospital. As a charity investing in clinical research, The London Clinic is a really good fit for our team, standing out from other purely commercial Harley Street and central London private hospitals. We treated a handful of international patients in 2018 with DBS at The London Clinic with Parkinson’s disease, dystonia and chronic pain, and many more with spinal cord stimulation. We use all the major manufacturers (Abbott, Boston Scientific, Nevro, Medtronic), choosing system and model based on the clinical team’s expert opinion and patient choice. We have done charitable surgeries and last year I was the first neurosurgeon in the UK to implant a new, cost-effective DBS system made in China. Our work was featured in this month’s Prognosis Magazine (p48), the journal for the Harley Street medical area. It has also been recently showcased in a video by the British engineering firm Renishaw, who make the DBS neurosurgical planning software that I frequently use. We are happy to treat patients with deep brain stimulation, spinal cord stimulation or brain lesions both privately at The London Clinic and in the NHS and privately at St George’s. See the London DBS website for more details. Three ‘generations’ of directors of deep brain stimulation in their respective UK University Teaching Hospitals, operating together as a team for a good cause, making a tiny hole in the head of a charitably funded patient from the developing world during a minimally invasive DBS surgery. Myself from St George’s University of London turning the drill, Prof. Dipankar Nandi from Imperial College London in the middle, and our mentor, Prof. Tipu Aziz from Oxford University on the right. If you would like to donate to my research into deep brain stimulation and spinal cord stimulation, please contact the Neurosciences Research Foundation (NRF), a charity based at St George’s, University of London. If you would like to give in a tax-efficient manner please contact Carole Bramwell for further information or click here, quoting reference TAPAA (which is my research fund within the NRF). Quite a few patients recently have asked me to perform cervical disc replacement (also known as arthroplasty). It’s an operation I enjoy doing technically, but it got me thinking about whether the indications and evidence for its benefit have changed much over the last decade. The surgery is similar to anterior cervical fusion, with a couple of extra steps and another 10-30 minutes to the 1-2 hour operation. Disc replacement implants cost, at approximately £2000, around 10 times as much as fusion cages. The National Institute of Clinical Excellence (NICE) and NHS England permit arthroplasty if patients have been discussed by several spinal surgeons at a multi-disciplinary team meeting (MDT) which we have weekly at St George’s (and admirably for the private sector fortnightly in The London Spine Clinic in 116 Harley Street). In the private sector the cost becomes less of an issue and it’s more patient choice dependent (almost all insurers approve). I performed St George’s Hospital’s first cervical arthroplasty in early 2017 on a patient with the unusual anatomical problem of three adjacent slipped discs bulging centrally backwards into the spinal cord causing signs and symptoms of chronic squashing (myelopathy). My talented spinal surgeon colleague Matthew Crocker (also of Wimbledon Clinics) has recently performed another over a single level at St George’s. Privately, I regularly perform single and two level arthroplasties at The London Clinic. I was fortunate to have much of my Oxford neurosurgical training with Tom Cadoux-Hudson, a true master anterior cervical spinal surgeon under whose tutelage I became adept at performing three and four-level anterior cervical discectomy and fusion surgeries without plating quickly and safely through a minimally invasive and beautifully healing transverse skin incision in a natural neck crease. Half a decade ago I presented internationally and published the results of our first 30 patients in Journal of Clinical Neuroscience and what became apparent were acceptable rates of adjacent level problems (6.7% after over five years) requiring an adjacent discectomy or same level problems needing further posterior decompression surgery (10% at close to four years). 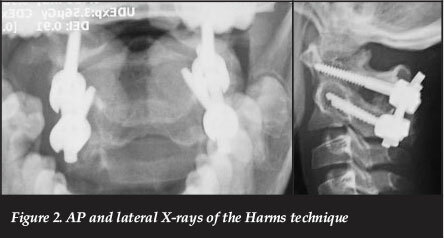 I believe that patients presenting with 3 and 4 level disc disease requiring discectomy are predisposed, either by nature or nurture or both, to further degeneration and anything that can be done to minimise the chance of further surgery is desirable. 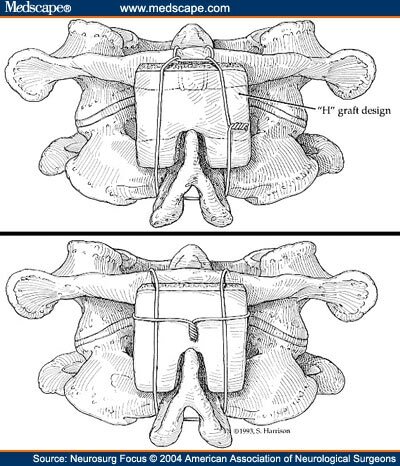 This led me to ‘hybridise’ the construct of the St George’s patient with three adjacent slipped discs, aiming to put two fusion cages at the bottom levels and an arthroplasty at the top to try to reduce the wear and tear on the disc above in my predisposed patient. 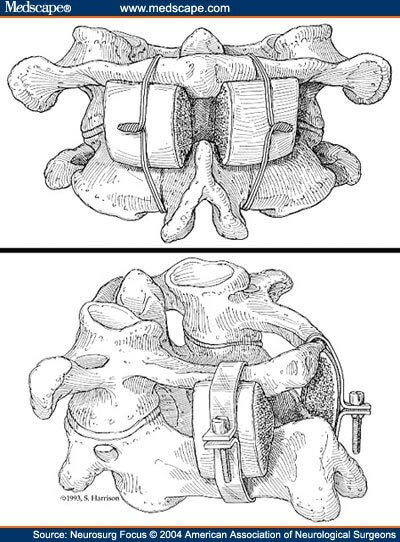 Adjacent segment disease (a symptomatic slipped disc at the level next to past cervical surgery) usually occurs at the disc above, most probably due to increased torque from free movement of the head on the body like a ball on a stick. Interestingly the UK National Institute of Clinical Excellence (NICE) only really approves disc replacement for one and two levels (because that’s what published evidence is on), rather than for the indication of hybridising the third or fourth level in a multi-level affected, and hence unusually predisposed to adjacent disease, patient. Cervical disc replacements have been around in some form or the other for three decades with increased uptake and new devices in the last decade following US FDA approval. It is important to note that most of the trials of arthroplasty versus fusion needed for FDA approval were non-inferiority, i.e. they suggest that arthroplasty is at least as good as, but not necessarily better than fusion. 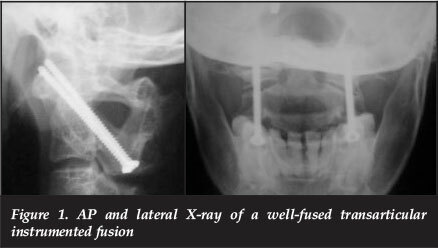 One parameter often cited is reduced neck pain, but some of the studies are flawed – for example measuring mobility in both groups when the fusion group has been put in hard collars (an unnecessary practice I don’t advocate) to aid fusion! Several systematic reviews and meta-analyses suggest better outcomes from arthroplasty in terms of neck pain, arm pain and mobility, but there’s little data beyond half a decade of follow-up. My take on it is that younger (i.e. in their 50s or less) more active adults who have arm pain from a trapped nerve (radiculopathy) and neck pain from a soft slipped disc of good disc height on MRI or X-ray are those who may benefit most from arthroplasty. For arm pain alone and more laterally extruded or foraminal disc prolapses I think about posterior cervical foraminotomy as the operation of choice. This is an operation frowned upon by many orthopaedic spinal surgeons for several reasons – firstly, reticence to use a microscope and small (1mm and 2mm) Kerrison rongeurs as a neurosurgeon would to delicately remove bone and ligament from the nerve, secondly a cultural dogma that an implant needs to be inserted into the patient, thirdly a belief in indirect decompression by height augmentation of the disc space. It is also unusual for orthopaedic spinal surgeons to use a microscope for anterior cervical discectomy therefore many fear to open the ligament over the spinal cord and nerves to truly decompress them. I am open-minded about arthroplasty in young adults with chronic spinal cord compression (myelopathy) provided there are few signs of joint damage (arthropathy) and loss of disc height, i.e. the joint is reasonably mobile to begin with. The mobility conferred by a disc replacement is small therefore unlikely to exacerbate spinal cord compression after decompressive surgery. Ultimately the spine is different from the hip or the knee where arthroplasty if possible is clearly better for function than fusion as those joints have large arcs of movement. Each cervical spinal joint moves only a few degrees and its movement is compensated for by adjacent joints. Almost all head on body (i.e. 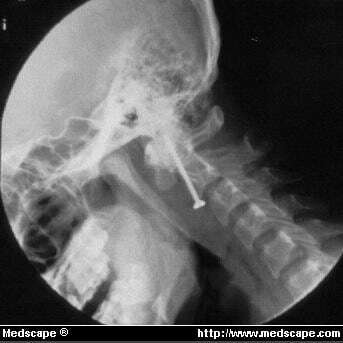 neck) movement occurs in the upper cervical spine rather than the lower cervical spine where arthroplasties are usually done. I decide between posterior foraminotomy, anterior fusion and anterior arthroplasty in an informed discussion together with the patient based on their symptoms, signs, demographics, anatomy and preferences. Review data from multiple studies suggests neck pain may be more improved by arthroplasty, more mobility maintained, adjacent segment wear and tear reduced and greater patient satisfaction compared to fusion at up to five years. We all have cases who have done well for a decade or more and have heard of a few who have needed revision surgery, but nobody really knows what happens beyond half a decade yet. Even the Philadelphia orthopaedic surgeon Alan Hilibrand, who coined the term “adjacent segment disease” in a seminal paper, is vague about evidence and indications. Tissue reaction to the implant is extremely unlikely. Bone growth elsewhere (heterotopic ossification) is possible. The worst thing that could commonly happen is probably that the arthroplasty fuses after a few years but still does its job of getting rid of pain, numbness or weakness due to trapped nerves. The reality is all three of these operations work quite well to relieve trapped nerves in the neck if patients are appropriately selected – and counselled for the small but serious risks of spinal surgery. In terms of arthroplasty implants, at the moment I tend to use Mobi-C by Zimmer Biomet (which is widely used and NICE appraised) and M6C by Spinal Kinetics. I was introduced to M6C by Khai Lam on my orthopaedic fellowship at Guy’s and St Thomas’, and I tried a few other brands training under Oxford neurosurgeon Simon Cudlip. Both the implants I currently use are composite with plastic innards and metal ends interfacing with bone, reasonably priced for the UK market and have the desirable attributes of being quickly and easily inserted (with few extra steps over fusion surgery) compared to some competitors. Mobi-C has some of the strongest evidence for superiority over fusion, a more versatile size range (good for petite females) and is less constrained in its movement whereas M6C seems perhaps sturdier so may suit the strapping rugby player or builder’s neck (although there’s no evidence for this and one could also make the opposite argument for wanting to bolster a slender neck more). Below is a video of a three level disc replacement in action (shown by live intraoperative X-ray) demonstrating impressive preservation of mobility!